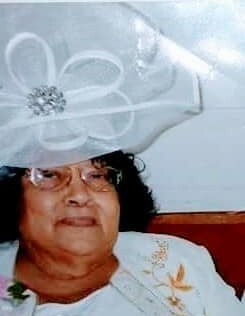 Overseer; Pastor Kathryn G. Middleton came into this world on September 3, 1928, born in Ridgeland, South Carolina, the daughter of the late Major and Jetta Woods Garvin. She was formally educated in the Beaufort County School District. Pastor Middleton was joined in Holy Matrimony to Pastor Irvin Middleton, Sr. on June 13, 1948. They were married for 66 years and enjoyed a wonderful life together. To this union God blessed them with two daughters and one son. Kathryn accepted the Lord at an early age, and was baptized in the summer of 1948. She was selfless, lived to please God and allowed God to order her steps. She became a member of the 3rd Macedonia Baptist Church where she served faithfully on the Missionary Board, the Charity Board, and the Deaconess Board. She was President of the Senior Choir, and President of the Women’s Auxiliary. Her desire was to know and understand the Lord in a deeper way. The year was 1960 in the month of June during a summer revival, when she received the gift of the Holy Spirit, and became a member of the Beaufort New Church of Christ. She continued to work faithfully serving the Lord in various capacities as Church Secretary, President of the Women’s Auxiliary, and President of the Senior Choir in the Beaufort New Church of Christ. In June of 1972, Pastor Middleton was ordained a licensed Evangelist and served for over 58 years. The Lord continued to elevate her in Ministry. In April of 1991, she became Pastor of Gateway to Heaven Miracle Deliverance Church. Two years in the Burton Mission, Souls were saved, lives were changed all because she was obedient to voice of the Lord. Nearing the finish line with 27 years in ministry, she had labored in the vineyard bringing the good news of the gospel of Christ to all. Over the years in her walk with the Lord she encountered many battles and weathered many storms; yet God had remained faithful to her. He never left her, nor did he forsake her. She remained steadfast, immovable, knowing that God had ordained and equipped her for this Christian journey. Her life’s goal was to always make herself available to the Lord, to fulfill God’s purpose. His plan and destiny for her life, she says was “Prayer”, the key that unlocks the doors of Heaven. Pastor Kathryn Middleton is an outstanding example of a Woman that followed God, did as Enoch did in the biblical account and walked with him. There is no doubt her legacy followed her to heaven. On Tuesday, February 5, 2019 Pastor Middleton has made her triumphant transition on to glory with her eyes looking toward Heaven. Assuredly, the Angels rejoice at her arrival. Preceding her in death: husband, Pastor Irvin Middleton, Sr.; three silbings, Evangelist Hattie Mae Daise, Inez G. Stevens and Major Garvin, Jr.
Pastor Middleton will be affectionately remembered by her children: Assistant Pastor Dora M. (Deacon Joseph Jiles, Jr.), Arimetheia M. Gadson and Irvin Middleton, Jr.; three grand children, Pastor Yolanda C. Jiles, Joseph Jiles, III and Enightia L. Gadson; five great grands, Imani N. Jiles, Desiree K. Brown, Bella G. Jiles, La’nyiah Gadson and Noah Joseph Jiles, IV; three sisters, Lorcenia (Hyman Meeks, Sr.) Hannah (Eddie Chisholm, Sr.) Leola (Rodney Hale Sr.); two god children, Danielle Mitchell and David McKay; she leaves to cherish her memories a host of nieces, nephews, cousins, friends and church family. Pastor Kathryn Middleton, 90, of Beaufort, SC died Tuesday, February 5, 2019 at Select Specialty Hospital in Savannah, GA. She was the wife of the late Reverend Irvin Middleton. Visitation will be held from 5-7 pm on Monday, February 11, 2019 at Allen Funeral Home Chapel (1508 Duke Street, Beaufort, SC). Funeral services will be held 11 am Tuesday, February 12, 2019 at Free Born Deliverance Church in Beaufort, SC. Burial will follow in the Beaufort National Cemetery in Beaufort, SC. Allen Funeral Home of Beaufort in charge.